The 10-Day Sicily in-depth tour is a splendid leisurely paced trip through Sicily’s sightseeing highlights. With 4 nights in Palermo and 4 nights in Taormina the tour provides plenty of time to relax and enjoy Sicily. The leisurely paced Sicily tour itinerary provides time to stroll around independently between scheduled tours and excursions in Palermo and Taormina. The leisurely paced Sicily tour highlights include excursions to visit local farms and dinners in authentic local restaurants. The expert Sicily tour guides will introduce you to the island’s rich history. The Sicily in-depth tour itinerary visits Agrigento, Cefalu, Monreale, Palermo, Siracusa, and Taormina. Along the way, you’ll discover the blending of cultures that makes Sicily a living testament of the Mediterranean’s history and various cultures. Families, friends, groups, and singles will all enjoy history’s great civilizations coming to life on this 10-Day Sicily in-depth tour. Submit the form or call 800.227.1577 for the price of this leisurely-paced Sicily escorted tour with airfare from your preferred departure city and for more tour information. Spend 4 nights each in Sicily’s vibrant city Palermo. Spend 4 nights in Taormina, the Jewel of Sicily. Visit UNESCO World Heritage sites: Palermo, Agrigento, Siracusa, and the cathedrals of Cefalù and Monreale. Be amazed by the Greek Theatre and the Duomo in Taormina. Visit a medieval palace where a countess welcomes you. Stop in Monreale to visit the stunning 12th-century cathedral. Journey to the beautiful seaside town of Cefalù. Discover Norman architecture in Cefalu, Monreale, and Palermo. Explore the ancient Greeks in Agrigento, Taormina, and Siracusa. Siracusa discover the ancient Greek culture and explore the archaeological park. Siracusa: Explore the ancient streets and delightful squares. Agrigento: Join a local expert who will guide you through the Temples of Juno, Concorde and Hercules, some of the best preserved Greek temples in the world. See the world’s finest Byzantine mosaics in Monreale. Visit the Greek and Roman Gods in Agrigento’s Valley of the Temples. Cefalu: See the Cathedral and walk down to the medieval stone fountain in the old fishermen’s quarter. Palermo: Local guide escorts you to sightseeing highlights. Taormina: Visit the Greek Theater and stroll Corso Umberto. Meals: Breakfast daily, 4 dinners, 1 lunch. Inclusive Sicily tour includes airport transfers, tours, entrance fees, and meals per itinerary. Enjoy the unique comfort of luxury air-conditioned 40 seat coach with extended leg room and restroom. It’s business class comfort. Personal radio headsets give you the freedom to wander during visits to famous highlights without missing any of your local expert’s fascinating insights and commentaries. 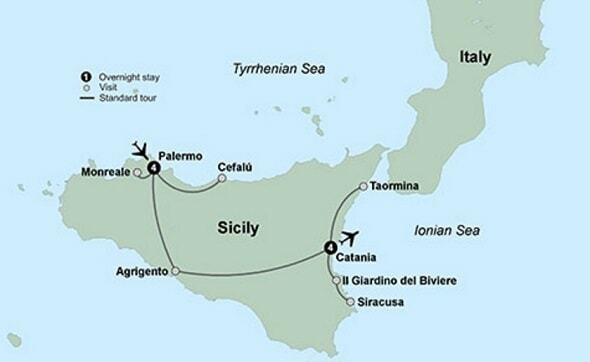 Click here to review the day-by-day Sicily escorted tour itinerary. Leave the city behind and set off with your local guide to ascend the mountain that sits on the edge of Palermo – Monte Pellegrino. At the top, you will be awed by the amazing panoramic views. Soak up the scene of the valley below and miles of deep-blue ocean. Then, we make our way to the cave where Santa Rosalia, patron saint of Palermo, lived and her remains now lay. 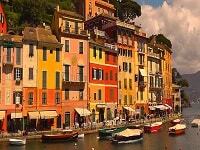 Descend and drive to the town of Mondello, an enchanting fishing village and popular local beach retreat. Soak up the laid-back ambiance while sipping an aperitivo before returning to the city. Available from April to October. This half-day excursion travels to Mt. Etna. This towering mountain is Europe’s largest active volcano. The day includes a stop at a Mt Etna winery to enjoy lunch and taste wine crafted from grapes grown right on Mt. Etna. Leisurely-paced tour of Sicily's sightseeing highlights. Check date for Sicily trip you are interested and submit form. Travel through Mediterranean history meeting the ancient Greeks, ancient Romans, Byzantines, Normans, Carthaginians, crusaders, Bourbons, and Ottomans on this leisurely trip through Sicily’s sightseeing highlights. e Sicily escorted tour. This Sicily in-depth tour provides authentic Sicilian experiences including visiting a local countess, businessmen, and meals in restaurants. The day-by-day itinerary provides time for your expert Sicily tour guide to bring you through its rich history and culture. Depart the United States on your overnight flight to Sicily. Arrive in Palermo. Check-in to your hotel. Then get out and enjoy Sicily’s colorful capital. This evening you’ll meet your tour director and like-minded travelers at a welcome dinner. This morning the day begins in Palermo with an escorted tour of its sightseeing highlights. Palermo’s picturesque piazzas the Quattro Canti, Piazza Pretoria, and Piazza Bellini. The architecture will introduce you to Sicily’s mosaic of cultural influences that include Moorish, Norman and Spanish Baroque styles. The tour also visits the Palace of the Normans and La Martorana Church, and visit the cathedral that houses the impressive Imperial Crown of Constance of Aragon. After Palermo the tour continues to Monreale where you will visit the 12th-century Norman cathedral. Head to the heart of Sicily to the town of Corleono. Francis Cord Coppola used this town as the namesake for his Godfather trilogy. Here you’ll learn about the history of the Mafia. For decades the villagers have struggled with the connection to the Mafia and are fighting back. Join a local resident who will guide you through the CIDMA (International Documentary Center of the Mafia and the Anti-Mafia Movement). Hear tales of the Mafia’s brutal past, the plight of the Sicilian people and the struggle to eradicate the Mafia. Make your way back to Palermo for the evening. Today drive along the coast from Palermo to Cefalù, where one of finest cathedrals in Sicily is located.. You’ll have time to stroll the streets and enjoy the central square. After the tour continue to a local farm, where a farmer shows you how to make authentic ricotta cheese. There you’ll enjoy an authentic Sicilian lunch prepared by a local chef using the farm’s products. This afternoon the tour returns to Palermo where you’ll have the remainder of the afternoon and evening to enjoy Palermo at leisure. This morning the tour continues from Palermo around Sicily’s coast to Agrigento. Start your day at the Valley of the Temples, a UNESCO World Heritage site. Enjoy a guided tour and learn about the rich history as you walk around the temples of Juno, Concordia, Hercules and Jupiter. After touring Agrigento your journey across Sicily continues past the Erei Mountains to Sicily’s stunning Ionian Coast. The coastal city of Taormina is your home for the next four nights..
Today you’ll visit Taormina. This resort town set on a mountain overlooking the sea has been a resort town for thousands of years. Taormina is often called “the jewel of Sicily” for its natural beauty. In Taormina a local guide leads you on a tour of this picturesque city. 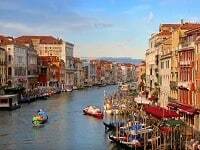 You’ll see the ancient Greek theater, the Duomo and the public gardens. Spend the afternoon on your own getting to know this city perched high above the sea. Dine at a sidewalk café, enjoy a famous Sicilian gelato or an authentic cannoli. Then browse the shops in the town’s boutiques, or you may choose to partake in an optional excursion that gets up-close to majestic Mount Etna. Today choose between visiting the hilltop village of Savoca, one of the settings for the classic film The Godfather, or Castelmola. Savoca is a well preserved medieval village with little alleyways and Chiesa di Santa Lucia, a 14th-century church; film buffs are sure to recognize these two landmarks. Or, you may prefer visiting beautiful Castelmola. Resting on a mountaintop above the community of Taormina, this quaint village offers unparalleled views of Mount Etna, Taormina, the Bay of Giardini Naxos, and the Strait of Messina. Reflect on the grandeur of ancient Greece while uncovering its archaeological treasures in historic Siracusa. An expert tour guide shares stories of its creation while leading you through the Archaeological Park of Neapolis which features an impressive collection of Greek and Roman antiquities. This evening, toast to Sicilian culture during your farewell dinner while serenaded by music from local musicians. Your tour of Sicily comes to a close as you return home with many cherished memories. 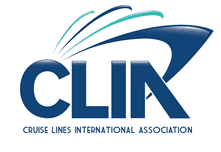 Click here to review the Sicily escorted tour accommodations. 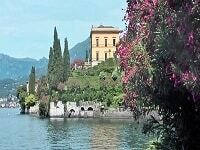 For more Sicily vacation options click Sicily tours packages.